I DID IT! 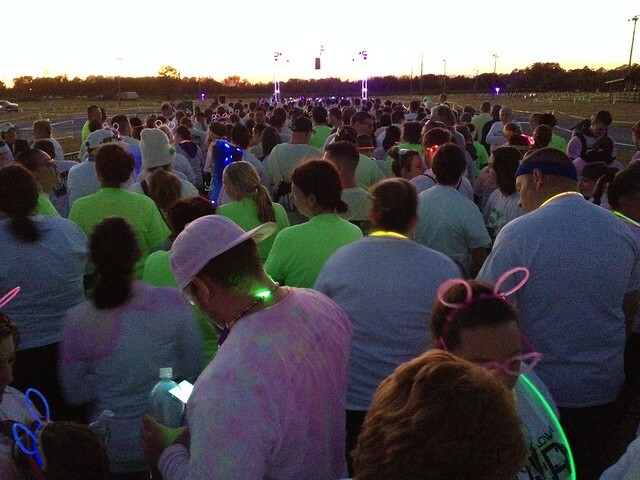 My first (recent) 5K :-) & tutus! Some of you may have seen an in-progress tutu making photo floating around my Instagram, and I also put it on my Sunday Sevens post. 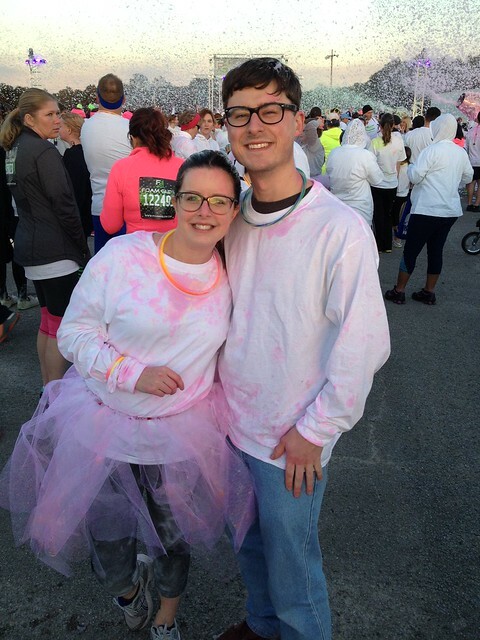 I made the tutus as an accessory to wear to my first 5k! 🙂 I say ‘first’ loosely because I actually did 2 5k’s back when I was 16 & 17, but that’s 10 years ago, so this one was my first recent 5k! 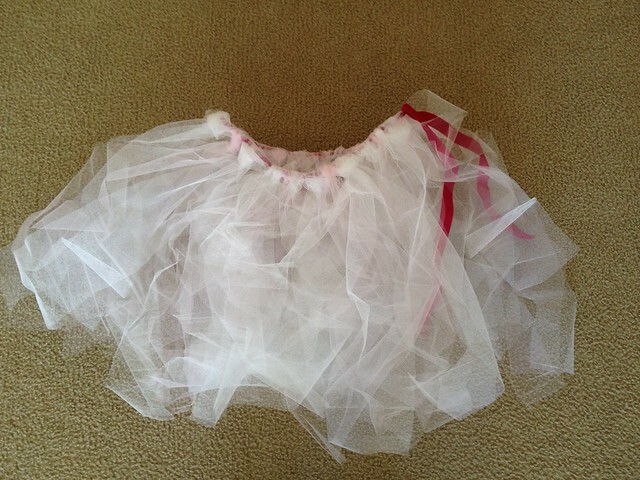 The tutus were really easy to make! I bought tulle in the sale at my local Hancocks for $1.50 per yard. I was making 2 tutus so ended up buying 3 yards of thick white, 3 yards of medium sheer white and 2 yards of light pink; 4 yards for each skirt. 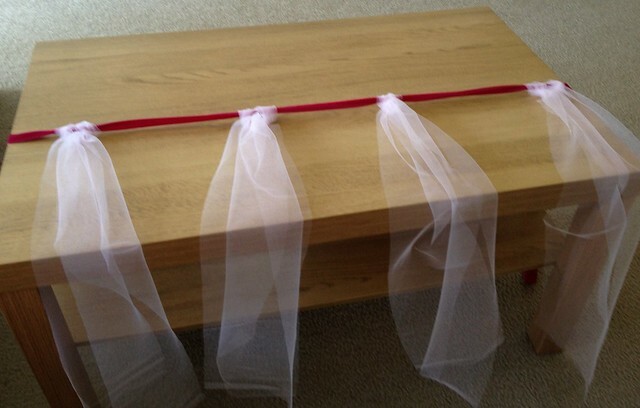 This tutorial had a simple no sew method, where the tulle was cut into strips and looped around a piece of ribbon. 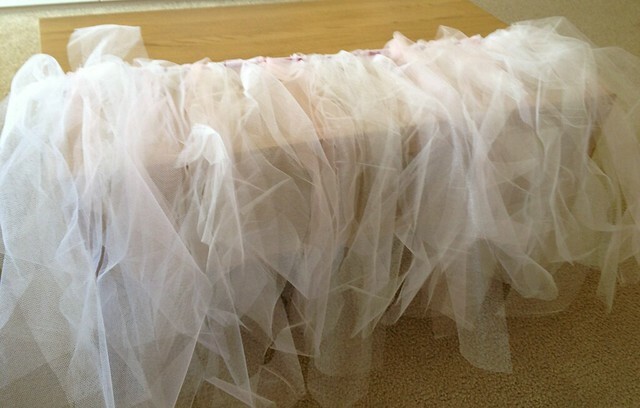 I simply distributed the tulle evenly around the ribbon and then I cut the full skirt to just above the knee. 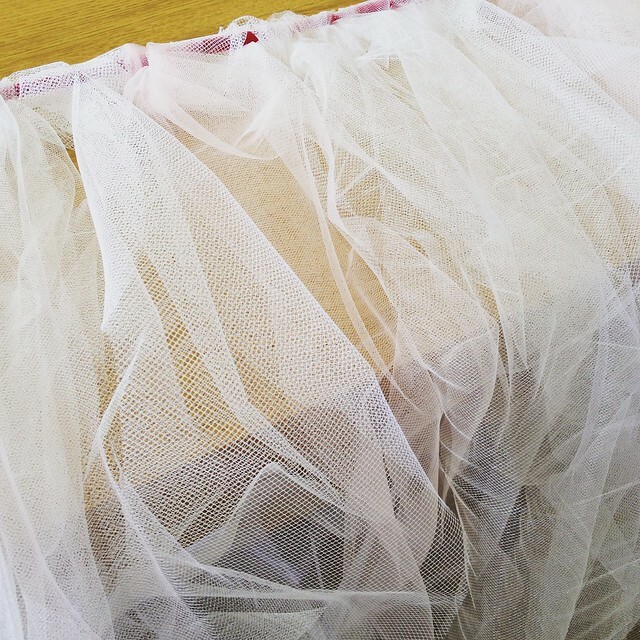 Once they were completed, I felt that they needed to be a little fuller so I went back to the store to purchase 2 more yards of the heavier tulle. We headed over to Pensacola in Florida, which is around 45 minutes away from us. All week it had been gorgeous weather. Typically, the day of the run was very chilly…I needed 3 layers and then managed to bag an extra t-shirt to keep warm from one of the volunteers who was handing them out to anyone who was shivering! Congratulations, don’t you look wonderful in your tutu. Thanks – I really loved wearing it! Ha! 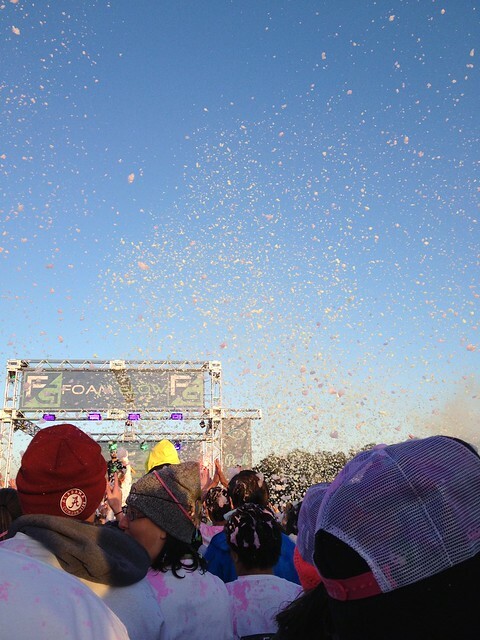 Thank you -It was a great thing to take part in! Yay you! So many wonderful things happening in your life–so happy for you! 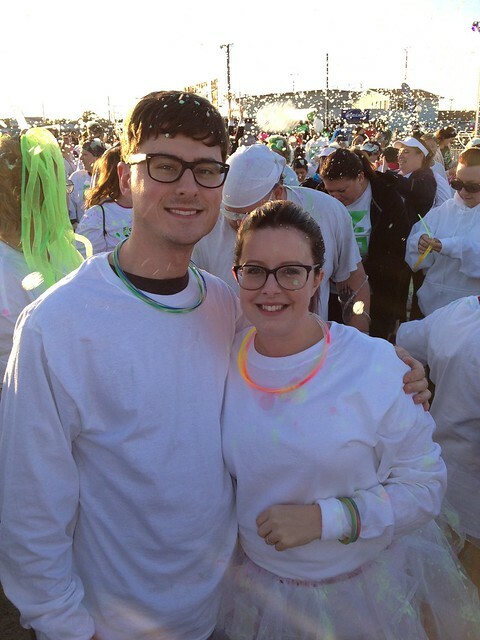 Congratulations on completing your 5k and the tutu was a great addition to your running gear!